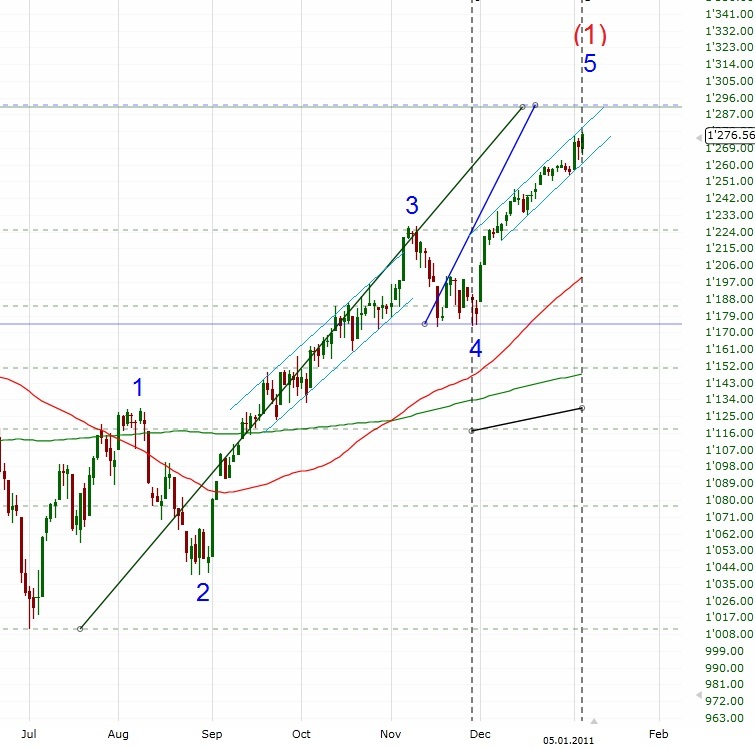 The SPX hit another new rally high today: 1278! 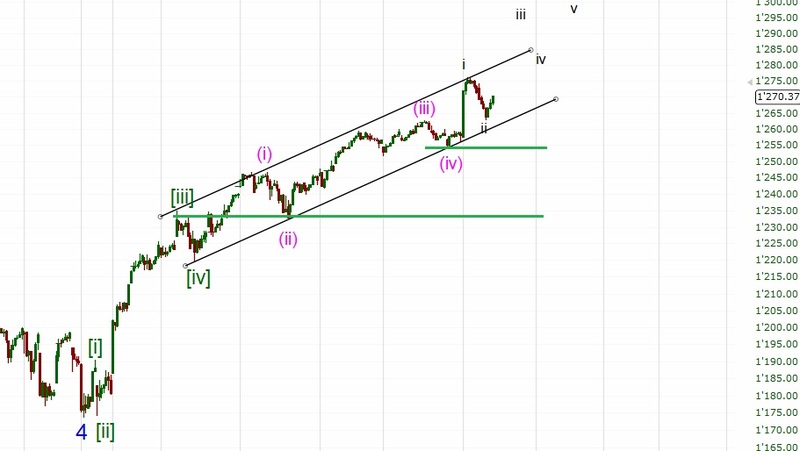 Today, wave 5 equals wave 1 in time and almost in price (1292). However, the uptrend is still intact so shorts are still countertrend. So, wave iii to 1290 to 1300 is underway now. A first sign that the uptrend is finished is a channel breakout and a close below 1253. They are so similar, aren't they? May be you remember that I mentioned this similarity like every day in the first two weeks in December lol but wow it's still working! We're now in the 'channel rally' (like October 2010), possibly already near the end. 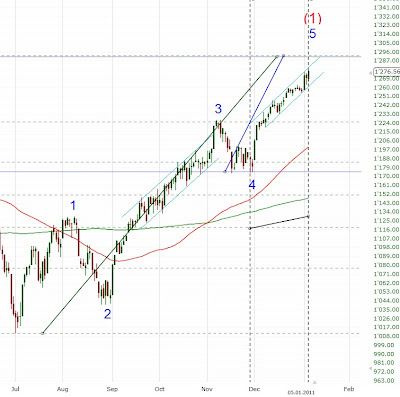 If the similarity continues the rally may end with a last blast higher to 1300ish (like early November).